← It’s not all greek! 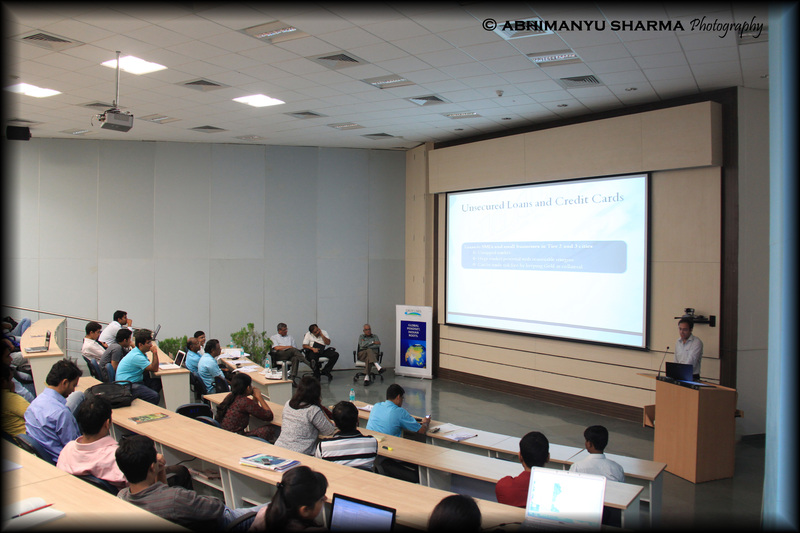 The Chennai chapter of the IIM-C Alumni association conducted a workshop on strategic marketing at the Great Lakes campus on 13th November 2010. A day-long event organized by the institute’s career club, the workshop included a career counselling session alongside a case analysis presented by the students on strategic marketing in the retail financial services sector. 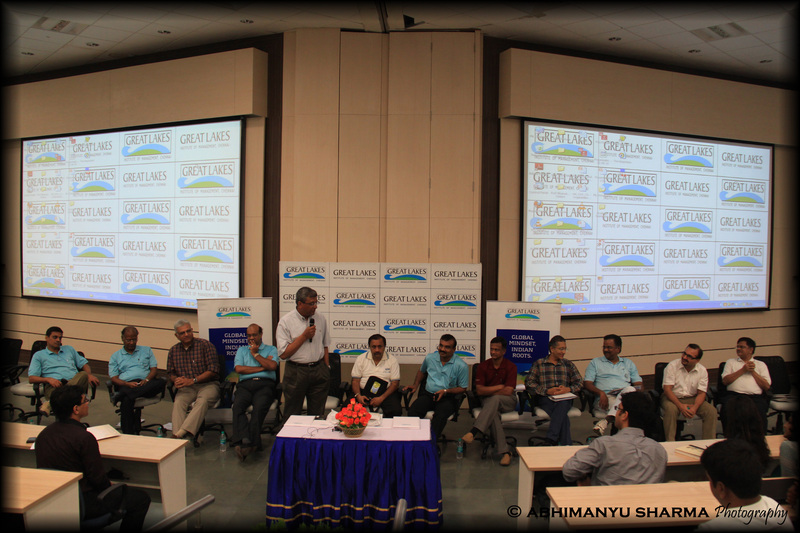 The morning got off to a nostalgic start when the camaraderie among the alumni was clearly evident. 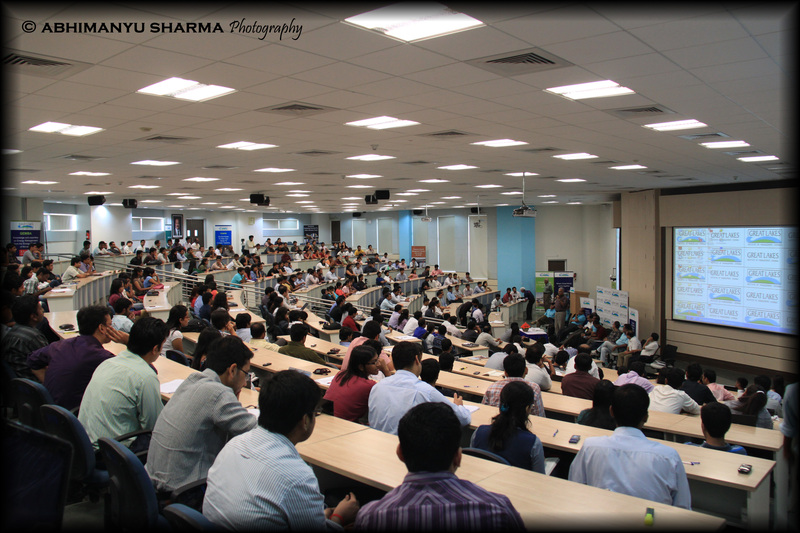 Professor TN Swaminathan, instrumental in bringing the alumni together, introduced them to the students. There was a brief Q&A that emerged insightful because of the sheer depth and clarity in each of the answers. To a question on how we should best utilize the remainder of our college life, Mr. J Krishnan quoted Mark Twain, “I have never let my schooling interfere with my education” Mr. PVR Murthy said that today’s world demands learning managers as opposed to learned managers and one should constantly keep oneself updated in this knowledge economy. Mr. Ajay Jain brought in an element of humour when he remarked, “Life is not as serious as it is made out to be”. He also stressed the importance of building bonds – interpersonal relationships as he put it. To another question on how companies that don’t have deep pockets manage operations in times of crisis, Mr. Ajay Jain quoted his accounting professor “There is no cost that cannot be cut by half”. He said that we should look at downturns as an opportunity to strengthen processes, cut costs and improve products and services. Mr Ravi presented his analysis by going back in history and quoting Sun Tzu – “If you know the enemy and know yourself, you need not fear the result of a hundred battles.” His analysis was simple – on one side, ‘what he knows about the company’ and on the other, ‘what he knows about his competitor’. It gave the gladiators an insight into how CEOs approach cases and analyze them succinctly. Post lunch, Mr. Ramesh Praba took the audience through a case study of political marketing – how media elements can be combined judiciously to campaign for a political party during elections? Some of the techniques presented were creative and innovative. The entire presentation was a glimpse into one aspect of marketing that many of us rarely give thought to – its extensive use in politics. The career counselling session that went on throughout the day proved immensely beneficial with the wealth of experience available for the students to tap into! Overall, it was a day when all of us took away something concrete and hugely practical. Mr Ravi commented, “Life is not perfectly perfect , although it is predominantly perfect” during the Q&A , the day however turned out to be a perfectly perfect one for the Gladiators. Thanks to the career club for pulling off the event with aplomb! This entry was posted in Committees and Clubs, Events and tagged Ajay Jain, Ashok Jayaram, D Prakash, IIM-C, J Balaraman, J Krishnan, K ‘Mali’ Mahalingam, Mohan Eddy, N Jagannathan, N Manohar, PVR Murthy, Ramesh Praba, Ravi Santhanam. Bookmark the permalink. Hey! Good to hear about the workshop! Has anybody recorded the talk and the case analysis? Hi there – echoing Karthik’s voice again, Id be very interested to see RS’s presentation though. Been my mentor for a long time.